So you want to go on holiday. You can’t bear the hassle of flying but you want to go somewhere further than your local campsite. What do you do? You drive. Driving, however, brings its own challenges – most notably the chorus of ‘are we there yet’ that arises, on cue, about 5 minutes after leaving your house. Here, veteran survivor of long car journeys, Linda Hull, shares her top tips for making it to your destination with your sanity in tact, without a seat-back DVD player in sight. 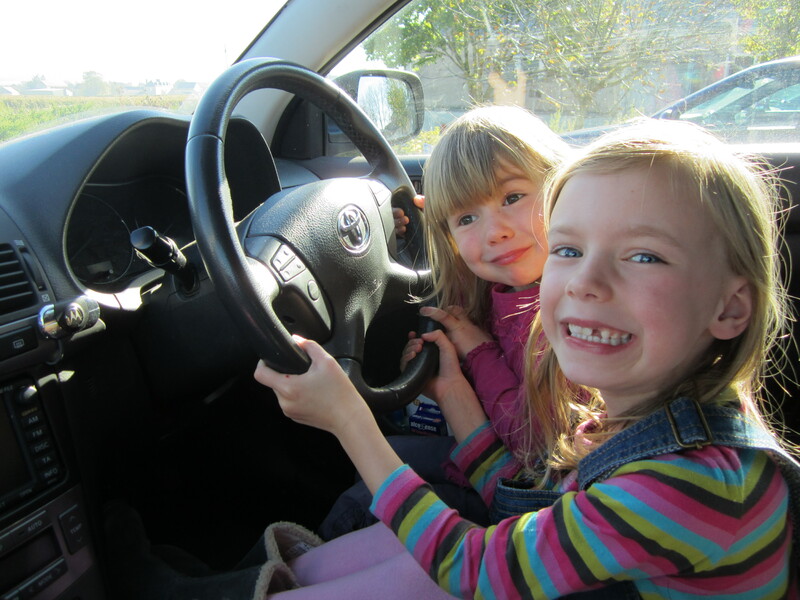 Anyway – then the girls arrived, Charlotte in 2007 and Alice in 2009. Apart from a trip to Australia for a wedding in 2008 (marvellous, but for another post) the flight embargo has become entrenched with the realisation that, however long you go away for with children, you still need approximately an estate car full of stuff. We are extremely fortunate in having access to a house in the Loire Valley which means we have at least one annual holiday guaranteed, so the car/ferry combination is well tested. In the past twelve months we have driven both to the French Alps for Christmas on the slopes and to Skye for our summer holiday, so I feel our endurance has been tested pretty well. 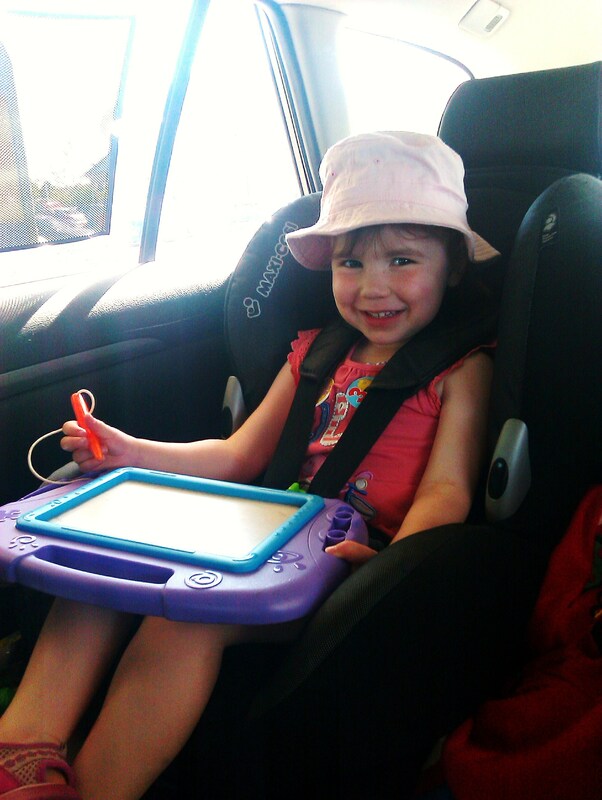 And we haven’t succumbed to the in-car DVD player…yet. Stopping points: It has taken me a while to accept that it takes a whole day to travel to most places. Interesting stops along the way makes it a bit less painful – even if interesting now translates roughly as ‘has an adventure playground’. 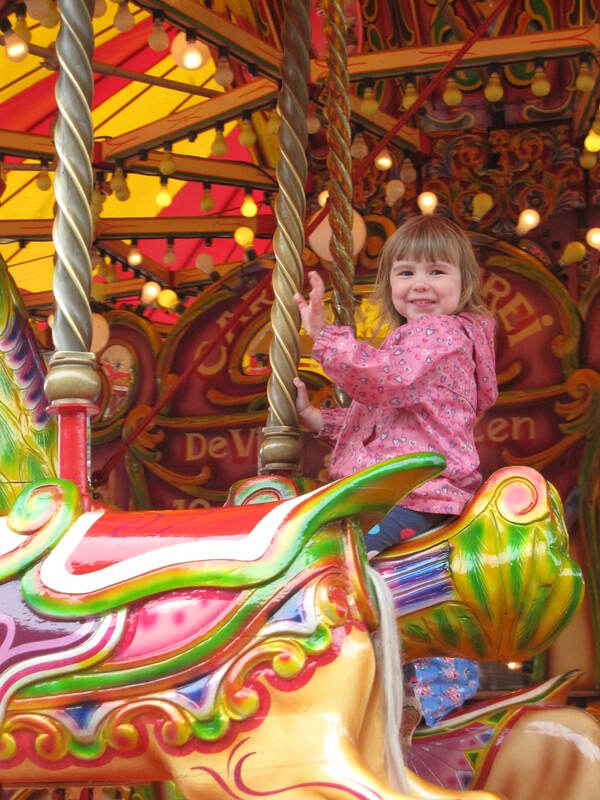 National Trust membership has been a great investment for our family, as there are often properties within easy striking distance of the motorway – we had a good stop at Tatton Park near Knutsford on our last journey north. Tebay Services on the M6 remains the gold standard for stopping with children as far as I am concerned and I wish there were more like it – but it’s worth also looking out for garden centres with cafes and play areas as well as other tourist sites such as the St Fagan’s Museum of Welsh Life near Cardiff. We have been well served by the Premier Inn family rooms for overnight stops on longer journeys – it’s not glamorous but it works. Easy listening: Audio books have really come into their own since the girls arrived. Our current favourites are My Naughty Little Sister, Wind in the Willows and a box set of Roald Dahl books. There are some lovely benefits to this – Charlotte asking me one day if I could please buy her some toffee drops and occasionally referring to Andy as ‘Father’. And who knew that the Archers and Appletree Farm were interchangeable? We do operate a bit of rotation, insisting that Mummy and Daddy can have some music or occasionally the radio. Coldplay seems to calm everyone nicely whereas Johnny Cash has us all jigging around the car! Etch A Sketch and the necessary evil of sticker books: The back seat of our car is a graveyard for crayons, coloured pencils and lidless felt tips. Charlotte has also managed an impressive Maori style tattoo all over her face just in time for passport control at the Channel Tunnel courtesy of a green felt tip. So the cheap magnetic drawing slate is a true favourite for me – no mess, the ‘pen’ is on a string attached to it, and it seems to keep them amused for early writing experiments as well as drawings. One of our pre-travel rituals is to choose a new comic each at the paper shop, and I tend to put away puzzle books between journeys so they are ‘new’ the next time. We have also worked our way through the entire range of Usborne First Sticker Books which they love, although my husband has a rather different take as he peels stickers off the inside of the car windows. Snooze time: We once tried the trip back from Scotland leaving after dinner/bathtime and arriving home in the early hours. This works well for friends of mine, as the roads are quiet and the children sleep, but for us it was torture as we are definitely not night owls and really wanted to be sound asleep in the back too. Nevertheless, encouraging a ‘rest time’ is definitely a good thing, so bedtime cuddlies are allowed, and the girls have matching blankets which means that we have a good chance on most journeys of getting a little Radio 4 time after they have had a good run around at a rest stop. And finally food: It’s pretty simple – you can never have too many snacks. Variety is the key, both to add entertainment value and to make me feel like a better parent for covering more than one food group in a journey. I should have prefaced these suggestions by admitting that Charlotte has emphatically said that she is not going on holiday at all when she is a grown up as it means too long in the car… so although we are doing pretty well it is still a work in progress. And I expect it is only a matter of time before the purchase of the DVD players. 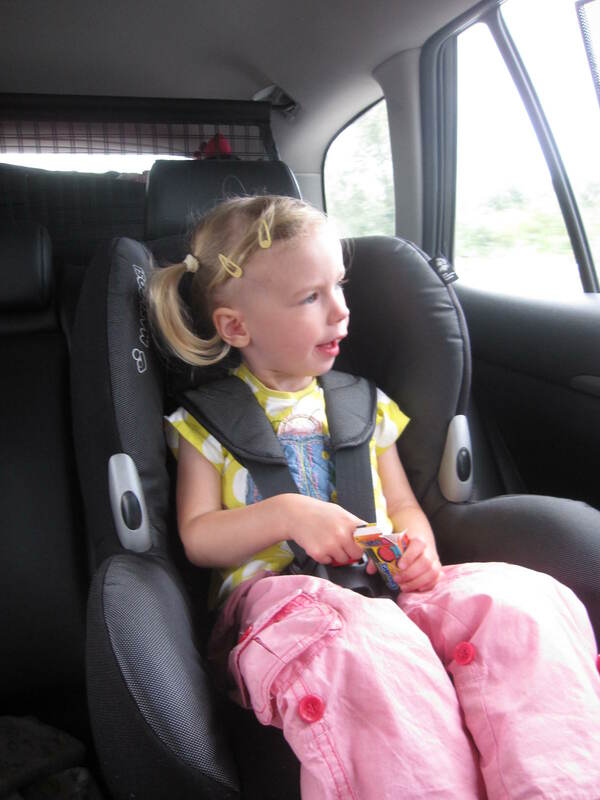 This entry was posted in Tips & ideas and tagged driving holidays with kids, driving with kids, long drives with kids, long journeys with kids, things to do on car journeys. Bookmark the permalink.